Brookdale President and CEO Cindy Baier has joined the board of directors of two organizations that aid the senior living and health care industries. Baier was recently appointed to the board of directors for the National Investment Center for Seniors Housing & Care (NIC) and the Nashville Healthcare Council, Brookdale announced. As a member of NIC’s board, Baier will help further the organization’s mission “through data, analytics and connections,” according to the announcement. Her term with NIC continues through the end of 2020. With the Nashville Healthcare Council, Baier will aid that organization as it aims to drive collaboration among health care industry leaders. Her board appointment starts July 1 and runs through June 30, 2019. Lifespace Communities recently hired Terese Juntz as senior vice president of people and administration. Juntz is due to join the company’s West Des Moines offices on June 25. Juntz possesses more than 20 years of executive human resources leadership, and most recently served in the role of chief culture and administration officer of HumanGood. Lifespace Communities owns and operates 12 continuing care retirement communities (CCRCs) located in seven states. Global services company Sodexo has hired Allison Lane as communications director for Sodexo Seniors, the quality of life services provider’s senior living arm. Lane is now responsible for managing and implementing internal and external communications. She is also tasked with establishing and achieving annual success and growth objectives. Lane comes to Sodexo from her consultancy, Tree Swing Communications, where she helped clients with integrated marketing, reputation management and public relations. Legacy Senior Living, a management company of assisted living and memory care facilities, has promoted Blake Ray to the role of director of asset management. In the expanded role, Ray will assist new developments, construction and renovation efforts, help coordinate financing, and support the company with real estate and operational analysis. Ray first began his career with Legacy Senior Living as a special projects coordinator, and later became executive director of Renaissance Marquis, an assisted living and memory care community in Rome, Georgia. Health Dimensions Group has named Erin Shvetzoff Hennessey as its new CEO. She takes the reins from Sergei Shvetzoff, who served in that role since 2015. Shvetzoff will continue with Health Dimensions Group as chairman of its board of directors. Prior to her new role as CEO, Shvetzoff Hennessey served as executive vice president of the company’s consulting practice. Health Dimensions Group is a consulting and management firm that works with post-acute, long-term care and senior living providers, and hospitals and health systems. Leawood Gardens Senior Living, an assisted living and memory care community in Leawood, Kansas, has named Jerry Lindenbaum as its new executive director. Lindenbaum has worked in CCRCs for more than 30 years, with time spent as administrator, in-house consultant and executive director at multiple properties. Before joining Leawood, Lindenbaum held an administrator role with Indian Creek Health Care Center, and was the executive director for Riverside Rehab and Nursing. 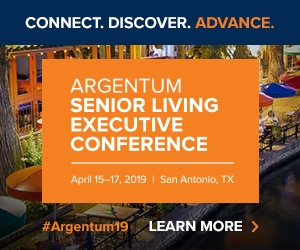 Benchmark Senior Living has named Trish Keaney as executive director for The Atrium at Rocky Hill, a memory care community in Rocky Hill, Connecticut. Keaney joins Benchmark from Artis Senior Living, where she also served as an executive director. Watercrest Senior Living Group has hired Vanessa McCall as the community relations director of its Market Street Memory Care Residence in Tampa, Florida. McCall brings to the organization 12 years of senior living sales and marketing experience. In her new role, she will help families members and their loved ones as they transition to a memory care setting, among other duties. Wingate Residences on Blackstone Boulevard, an assisted living community in Providence, Rhode Island, has appointed Dr. Julio Defillo-Draib as its newest resident physician. Defillo-Draiby is a lead geriatrician for the Total Joint Center’s co-management program at Miriam Hospital, and also an assistant professor of medicine at Brown University’s medical school. EPOCH Senior Living has named Kim O’Connell as the director of community relations at Bridges by EPOCH at Andover, a memory care assisted living community scheduled to open later this summer in Andover, Massachusetts. O’Connell has spent more than 20 years in the health care industry, most recently as director of the memory care unit at another assisted living community in Massachusetts. Wingate Healthcare named Diane Robinson to the role of director of marketing at Wingate Residences at Haverhill, an assisted living and memory care assisted living community slated to open in Haverhill, Massachusetts, later this year in the fall. As marketing director, Robinson will work to establish relationships with local medical and health care professionals. Prior to joining Wingate, Robinson helped open and support operations at six Northbridge Companies senior living communities elsewhere in the state of Massachusetts. LCB Senior Living recently appointed Jocelyn Fitzgibbons as sales and marketing director for the Residence at Melrose Station, a community it owns and operates in Melrose, Massachusetts. Fitzgibbons, who most recently worked as a community sales director for Brightview Senior Living, brings over six years of sales experience to her new role. Three Pillars Senior Living Communities has named two new managers and a new chief officer. The organization appointed Josh Van Den Berg to lead its strategic marketing and communications as the chief marketing and communications officer; named Kim Roeseler as its new recruitment and retention manager; and promoted Kelsey Pangborn to the role of customer experience manager.